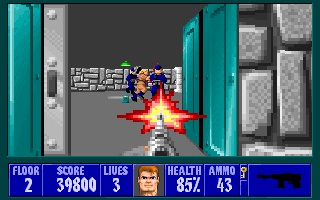 DOS Boston Bomb Club (Europe) in 08:28.35 by MUGG. 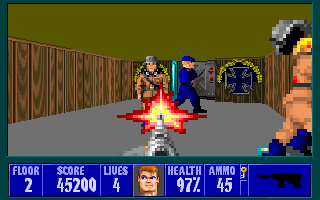 Boston Bomb Club is an old DOS tile-matching puzzle game developed by Silmarils in 1991. 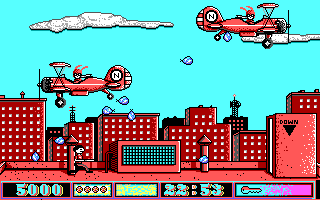 The aim of the game is to get the greatest number of bombs across the infernal device constructed by the mad scientists of the Boston Bomb Club from their point of origin to the target zone. MUGG beats the game in record time. 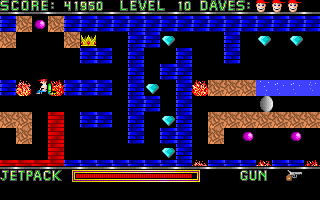 DOS Castle Adventure (USA) in 00:19.45 by Ilari & Truncated. 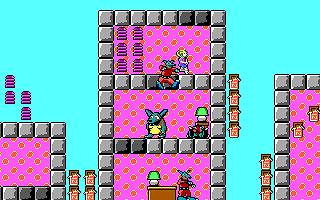 Castle Adventure is a game made in 1984 about a cloverleaf person trapped in a deserted castle with monsters roaming around. You have to find a way to escape the castle by searching for clues. 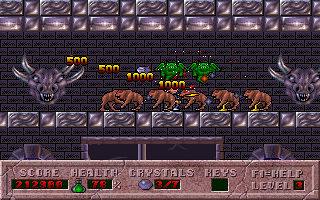 You move around with the arrow keys. If you manage to find a weapon, you can attack enemies by simply moving into them. Similarily, you can pick up objects on the ground by moving into them. You can also type in commands such as "LOOK DESK", "TAKE KEY", "READ BOOK", and "DROP FLASK". There are treasures to be found and monsters to be slain in order to increase your score. In this TAS, Ilari & Truncated clear the game in a blindingly fast 19.45 seconds utilizing subframe optimization and rapid keyboard-twisting input. For details, read the authors' comments. 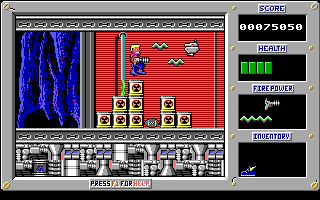 The run is so fast that the emulator can't draw all of the game's video output, so the downloadable encodes are made with a hacked version of the emulator that draws all of them. 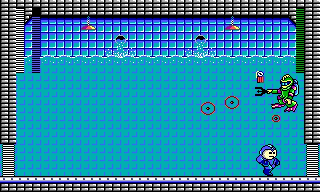 DOS Dangerous Dave (unknown) in 06:32.8 by Ilari. 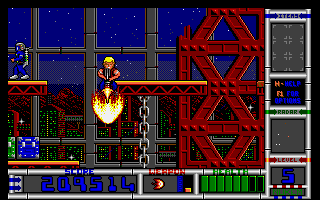 DOS Duke Nukem: Episode 1 - Shrapnel City (shareware v2.0) in 07:08.14 by Foone. 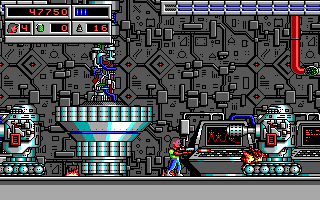 This run plays the first (shareware) episode of the game. 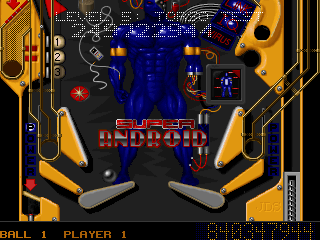 DOS Epic Pinball (v2.1) "Enigma" in 01:36.81 by DrD2k9. 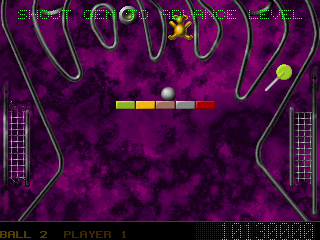 Epic Pinball is a pinball video game played from a 2D top-down view within a scrollable window. 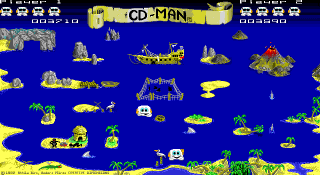 The CD release this TAS was played on comes with the twelve tables (including Super Android from the shareware release) from the floppy releases as well as an additional table: African Safari. DrD2k9 plays on the Enigma table and summons said Enigma in record time. DOS Hocus Pocus (USA v1.1) "Episode 2" in 13:48.61 by IsraeliRD. 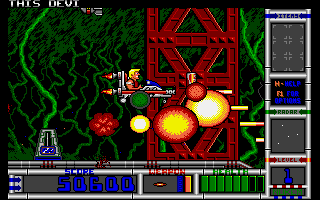 IsraeliRD completes the second of these tests in 13:48.61 minutes, while the player doesn't care about the enemies and get through a horde of them without taking a lot of damage. You can check the author's comments to learn more about his techniques. The same player did a run for the first episode as well. DOS Hocus Pocus (USA v1.1) "Episode 1" in 15:09.62 by IsraeliRD. 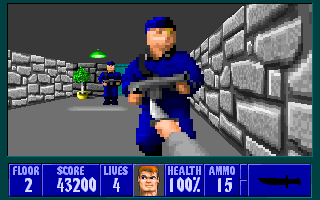 IsraeliRD completes the first of these tests in 15:09.62 minutes, while the player doesn't care about the enemies and get through a horde of them without taking a lot of damage. You can check the author's comments to learn more about his techniques. The same player did a run for the next episode as well. 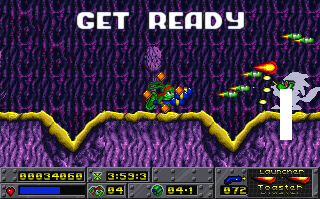 DOS Jazz Jackrabbit: Holiday Hare 1995 (shareware) in 02:52.25 by Ilari. This run completes a special Christmas episode called Holiday Hare. 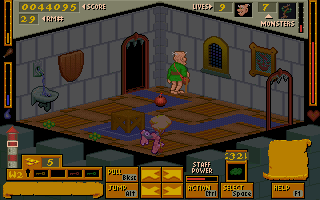 This is the 1995 version of this episode. 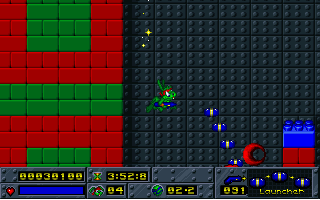 A run has been made for the 1994 version of Holiday Hare. 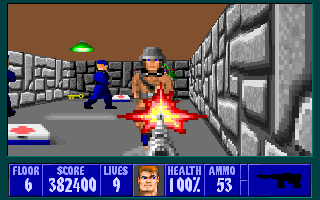 There is also a run of the original game available. 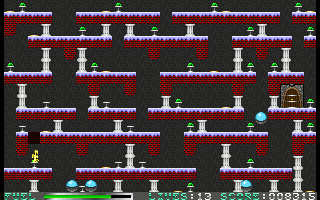 DOS Lada: The Ultimate Challenge (Europe) in 04:22.46 by Ilari. If you've been in Europe long enough, you've probably heard of the Lada car company. 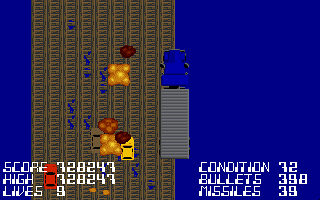 However, you probably haven't heard of this relatively obscure tie-in game, involving racing - yes, you guessed it - a Lada... which happens to have a rocket launcher and machine gun (those are almost certainly not standard features). 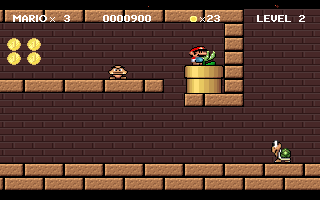 DOS Mario & Luigi (freeware) in 03:22.98 by Ilari. 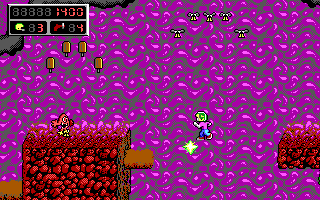 Mario & Luigi for MS-DOS is an independent game created by aspiring coder Mike Wiering in 1994. 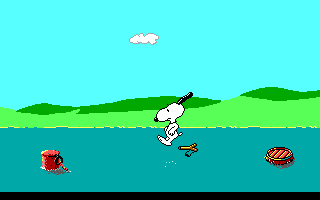 Although it's limited in some ways, the game is reasonably solid and shows decent smooth-scrolling graphics for a 25MHz 486. 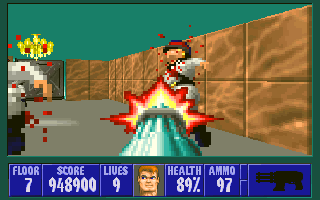 Here, veteran DOS TASer Ilari uses tricks requiring exacting precision to squeeze every last millisecond out of this 6 level game. 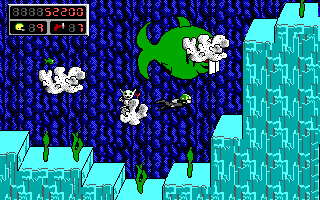 DOS Mega Man (USA) in 01:46.94 by David Fifield. In this run, David Fifield shaves 36.61 seconds off the previous movie. 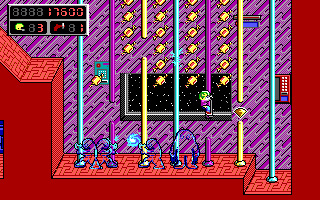 The majority of the savings come from a glitch that allows most of Volt Man's stage to be skipped. 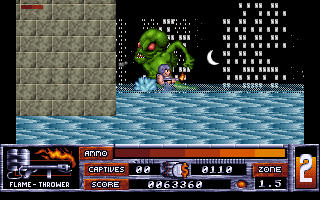 Other improvements include better movement throughout the stages and faster boss fights. 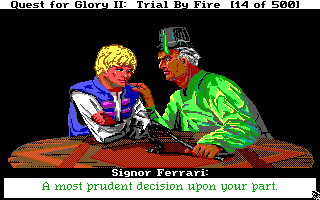 This game runs too fast on anything more modern than a low-end 386 or so. As such, the encode is technically correct. 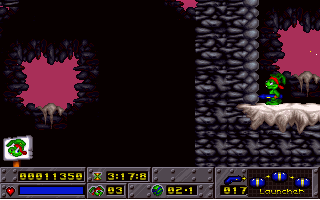 DOS Quest for Glory II: Trial by Fire (1.102) in 08:58.98 by c-square. c-square improves his previous TAS by 9.71 seconds, thanks to better optimisation and choosing the Wizard class instead of the Thief class. DOS Sid Meier's Railroad Tycoon (unknown) in 00:39.93 by c-square. 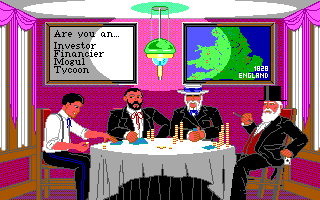 Sid Meier's Railroad Tycoon is a simulation game developed by MPS Labs and published by Microprose in 1990. The goal of this game is to normally rack up as much money as possible by expanding the railroad empire across the land, building stations, buying trains, creating industries and fending off the competition, with a starting capital of £1 million, in order to retire with the highest job rank. In this TAS, however, c-square loses as much money as possible on the highest speed setting, Turbo, and still manages to earn the highest rank thanks to an underflow, where the value wraps around to be +£32 million after losing money past £32'767'000, in just less than 40 seconds. One could say he crashed the economy by doing so. 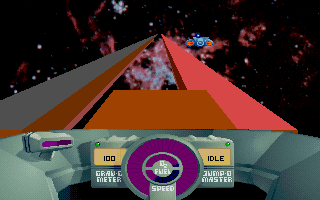 DOS SkyRoads (freeware) in 15:53.26 by Ilari. 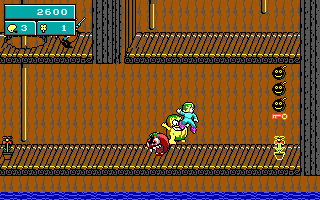 Skyroads is a short game where one controls a racer on tracks containing lots of bottomless pits and obstacles. 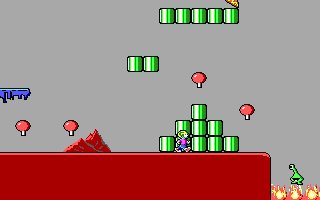 Those don't worry our author, though; he just bounces to the music and blasts through levels. Don't blink. This version of the run is 2.65 seconds faster than the first. 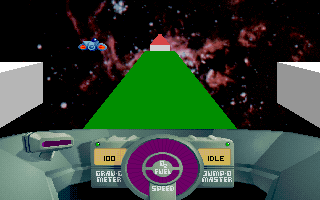 DOS SkyRoads: Xmas Special (freeware) in 12:08.04 by Ilari. Not satisfied with regular Skyroads, the developers decided to create a new set of significantly shorter yet excessively difficult tracks under the excuse of a holiday theme. Here, you can feel vindicated that you don't have to play through those tracks yourself. 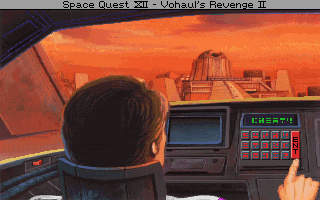 DOS Space Quest II: Chapter II - Vohaul's Revenge (2.0F) in 02:50.45 by DrD2k9. 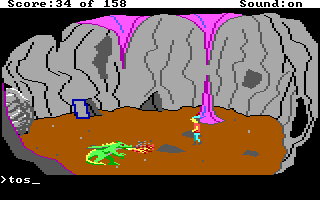 Vohaul's Revenge is the sequel to The Sarien Encounter, and the second game in Sierra's humorous Space Quest series of adventure games. 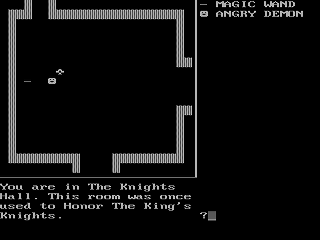 The player navigates Roger Wilco around with the arrow keys and interacts with the world by typing commands. 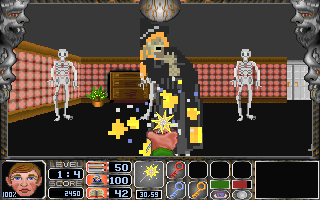 Like in the previous game, there are many ways for the player character to die. 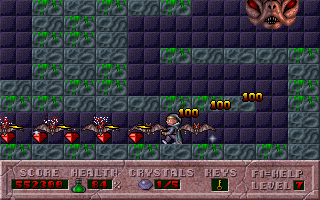 Much of the gameplay is dedicated to avoiding the many traps and hazards Roger will meet on his way. Some actions must be performed quickly in order to prevent Roger from getting killed. DrD2k9 completes the game in record time, thanks to setting the speed to the fastest setting. The second YouTube stream plays back the movie at 1/5th of the regular speed. 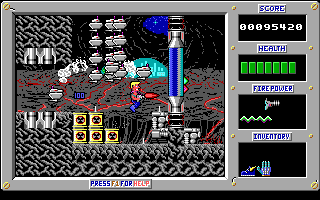 DOS Space Quest IV: Roger Wilco and the Time Rippers (USA) in 07:36.51 by c-square. 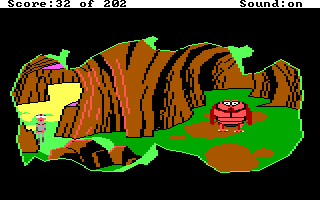 Space Quest IV: Roger Wilco and the Time Rippers is the fourth installment of the Space Quest adventure series, and the first Space Quest game with point-and-click gameplay, as compared to its text-based predecessors. 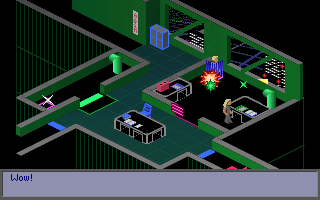 In this game, Roger Wilco is thrown into the future at Space Quest XII, and must stop Vohaul, whose consciousness lives inside another person. To do so, he must time-travel within the future (Space Quest X and XII) and to the past (Space Quest I) to gain information needed to achieve this goal. 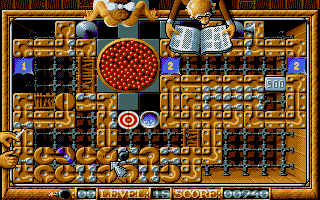 The author, c-square, completes this game using major sequence breaks that are almost impossible to perform unassisted without abusing saves. 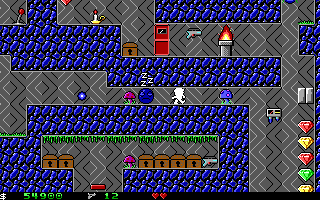 To help with this TAS, the source code of JPC-rr was modified to support mouse input fully. See the submission text for details. DOS Star Trek: 25th Anniversary (any v1.0) in 13:33.18 by MUGG. 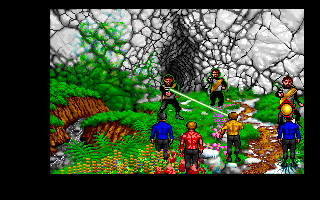 Star Trek: 25th Anniversary is a point & click adventure game released in 1992 for DOS. It features the original Star Trek crew (Kirk, Spock, McCoy and redshirt). 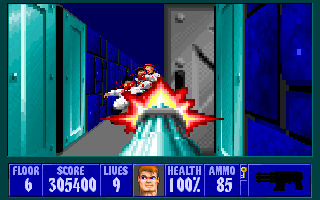 You play through seven episodes, each assigning you with a mission that you need to complete in order to go on with the next mission. 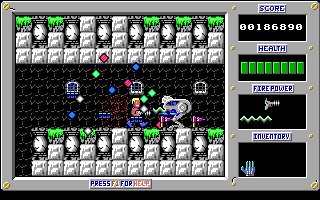 MUGG completes the seven missions of the floppy release (since it features a much shorter mission 7) in record time. 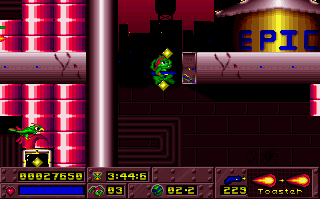 DOS The Amazing Spider-Man (freeware) in 00:18.62 by nitrogenesis. 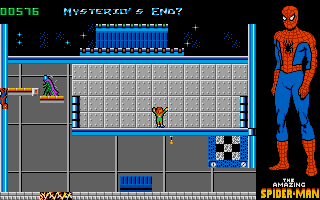 In this DOS game, watch as Spider-Man lives up to the adjective in the title as he glitches his way to the final screen of the run and completes the game in record time.